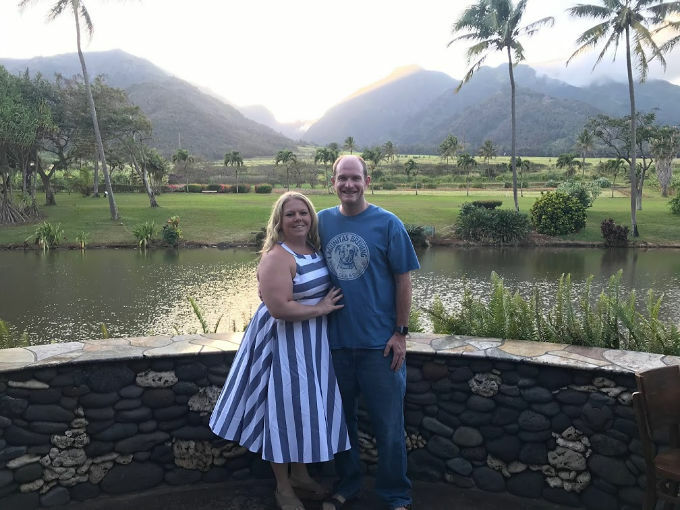 10 Year Anniversary Trip to Maui – The Trip of a Lifetime! Is it glass half-full to say I may never have a trip so memorable? Maui is quite literally a dream. 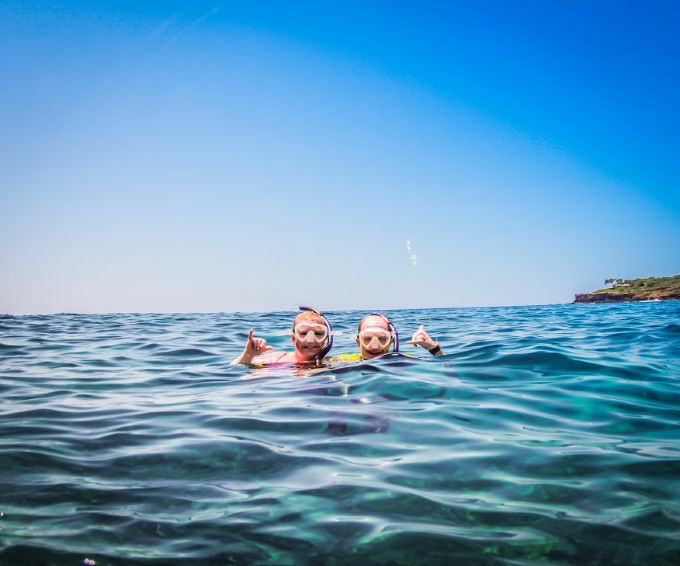 When people picture vacation – I think most people are really envisioning Maui. We stayed in Wailea on the southwest side of the island. It’s a bit less family-friendly than other parts of the island, such as Lahiana and for that we were thankful. 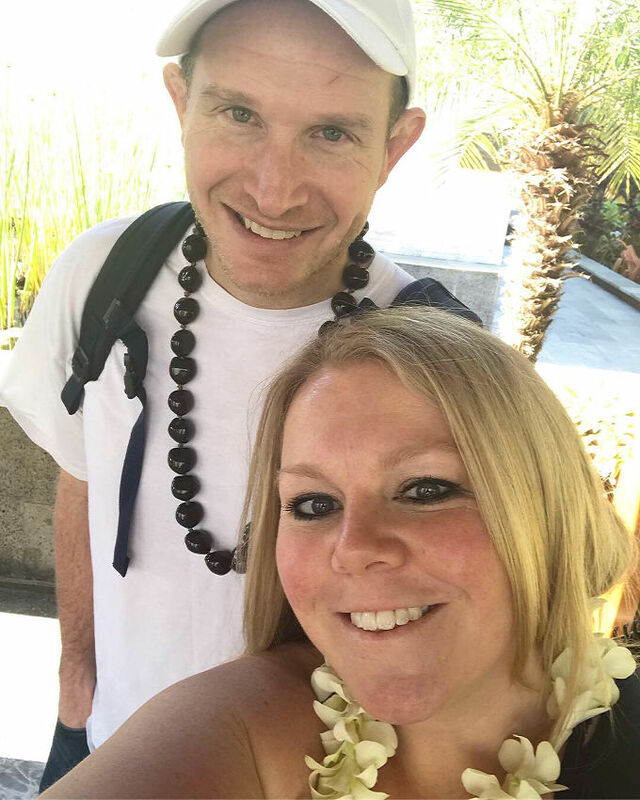 We stayed at the beautiful Andaz Maui and were very happy with our accommodations. The restaurants on-site were amazing (more on those below) and the poolside food and beverage were spot-on. I only wish it were all-inclusive 😉 We flex direct from O’Hare to Maui — 9+ hours going and 7+ coming back. The 6 hour time change (6 hours behind EST) was an adjustment, but for that reason, Hawaii gets up and at’em which I personally found to be ideal. This post will be long but hopefully very informative. Unlike myself in day-to-day life, I planned the HECK out of this trip and did a TON of research. 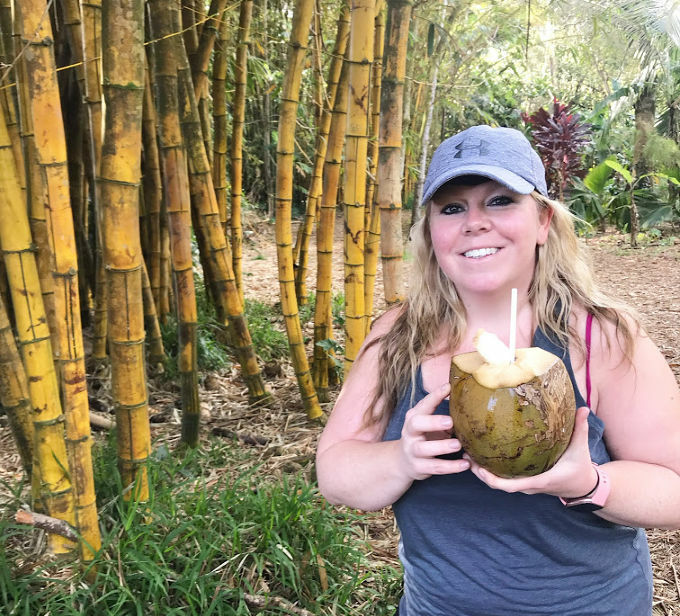 If it can help someone else plan a trip of a lifetime – awesome! Maui will not disappoint no matter what. Day 1: Landed around 2:30pm local time and immediately went to CostCo. I highly recommend this approach as island life and having everything imported drives up the cost on just about everything. We purchased some snack foods, LaCroix, wine, sangria, etc. And at the end of the week, we returned all the unopened bottles (CostCo is 2 minutes from the airport, literally). We were lei’d at the Andaz and used the hotel’s courtesy shuttle to head to the shops in Wailea. 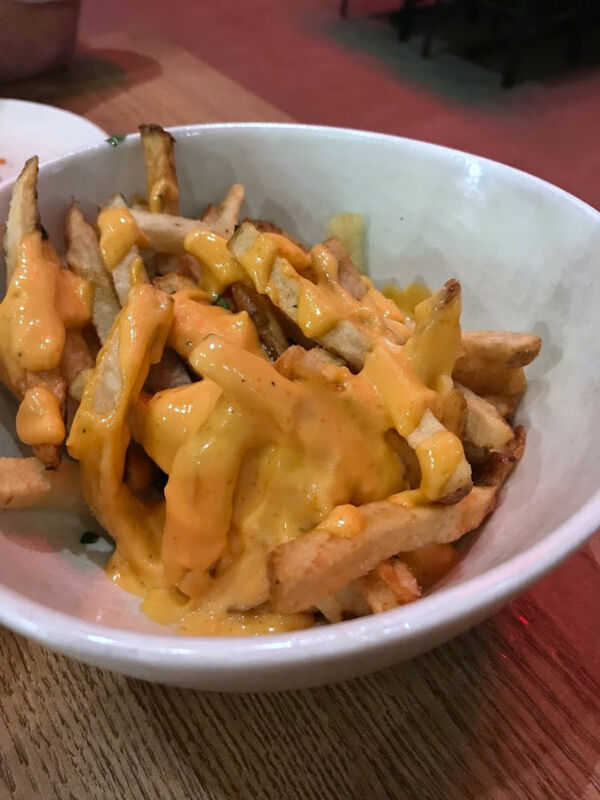 We had a drink at Cheeseburger Grille and Tap Room because it was open air but may have liked Tommy Bahama’s better (lots of recs to go there over the course of the week and in the same location). Next up was the Fairmont Hotel in Wilea for dinner at Nick’s Fishmarket. 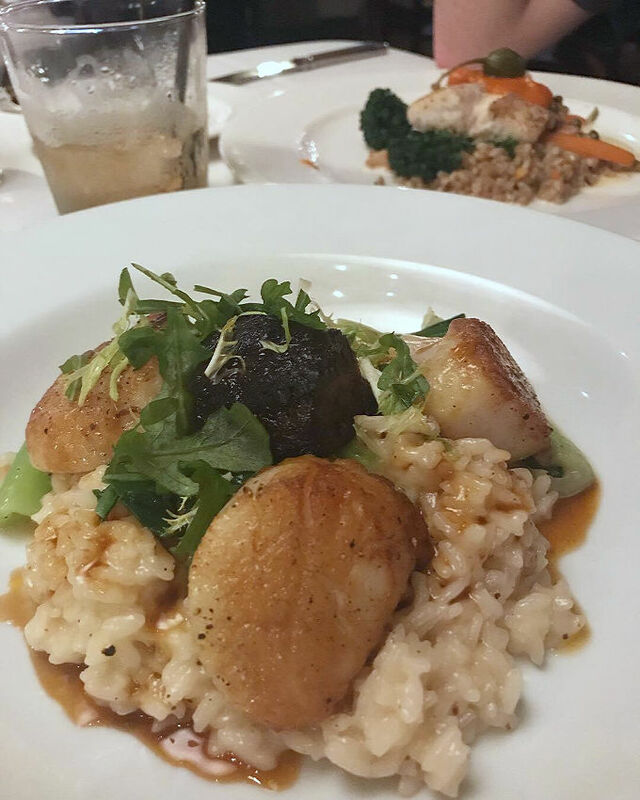 I got the scallops and risotto; Mark got the fish special. Both were incredible – as was the sunset and hotel. We called it quits early after the day of travel. 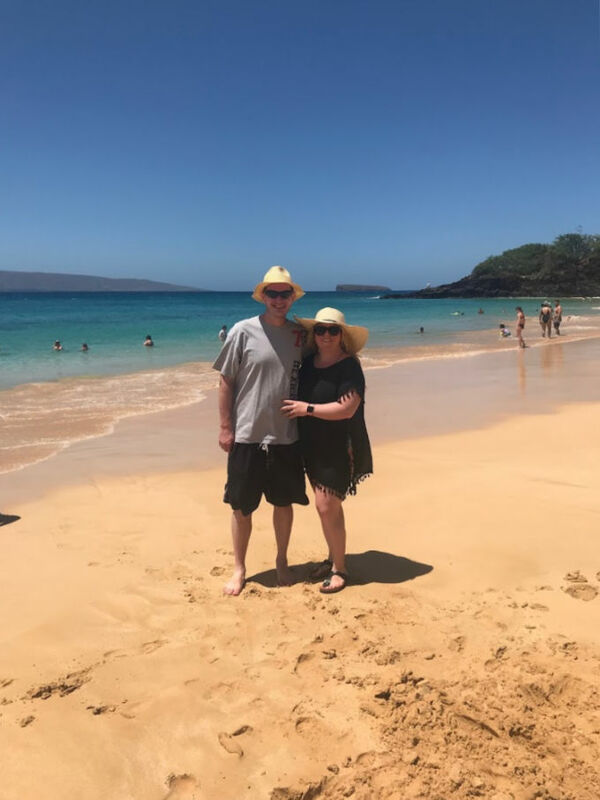 Day 2: We got up for a workout and I found my way to the footpath that runs along the resorts of Wailea – starting at the Andaz and finishing at the Fairmont. There and back was just shy of 4 miles and very busy! Lots of walkers and joggers out and about but so beautiful to run along the beach on a paved path with so much to see. 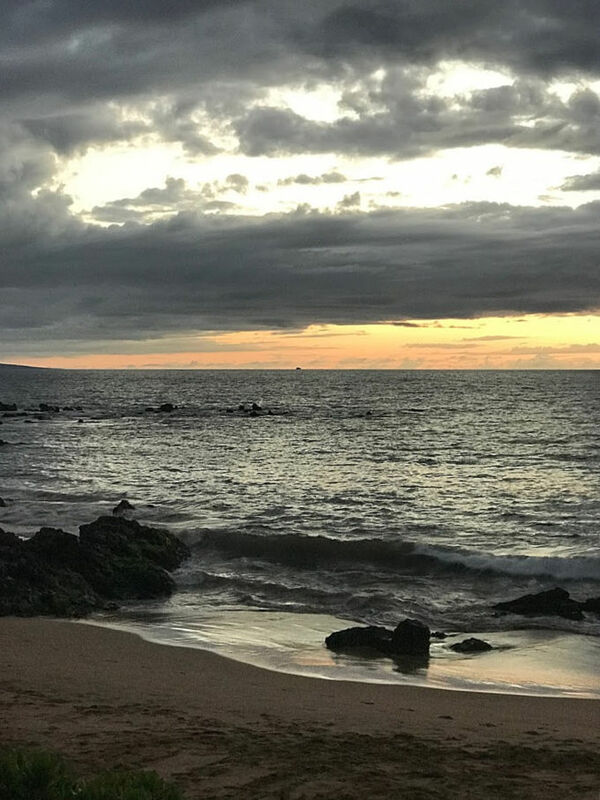 If you want a little something different, you can head north and run from beach to beach on your way to Kihei. We rinsed off and went to the beach at our resort for snorkeling, reading, and relaxing. The snorkel gear is included in the resort fees and we definitely took advantage. 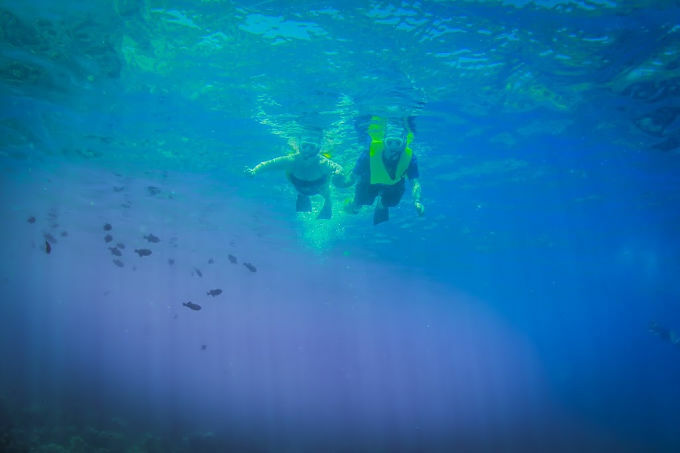 We spotted tons of fish, coral, and the beloved sea turtles that are so well-loved on the island. Mark and I strolled from beach to beach for a nice, long walk before we headed off to Lahiana, about 45 minutes north. Once there, we went to happy hour (2-5pm!) at Fleetwoods where there’s great food and drinks – we sat on the rooftop with live music while watching the whales breech and tail-slap. Is this real life? 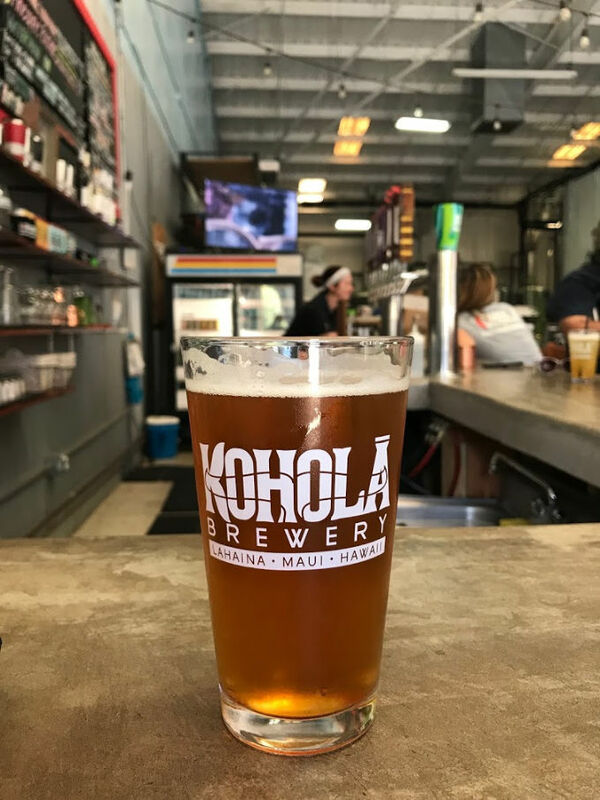 We walked from there to check out Kohola Brewing, less than a half mile away. The vibe is very similar to all of our local breweries and the beer was good! We walked back to Front Street (less than 1/2 mile) to go to the Lahiana Yacht Club (if you’re a yacht club member, use your reciprocal privileges to enjoy!). The yacht club is RIGHT over the water and the whales continued their show. Breathtaking. We started our journey back to Wailea but not before stopping at Leoda’s Pie Shop which was on our way back south. 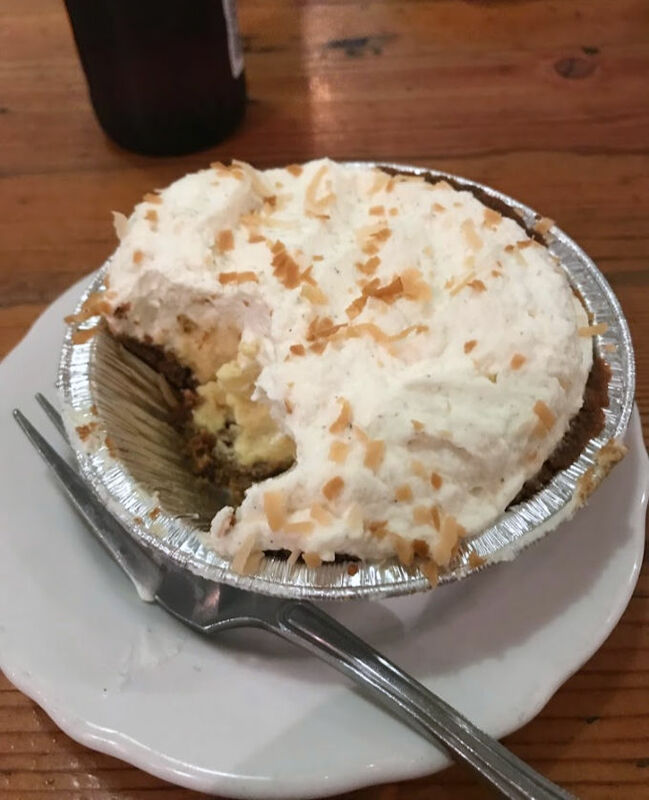 The coconut cream pie was AMAZING! Such a cute place and the salads looked amazing, too! Day 3: We rented the bikes available at our resort to bike to Kihei (about 2 1/2 miles) to have a sinful breakfast of cinnamon rolls at the Cinnamon Roll Place. It’s a little hole-in-the-wall in a strip mall, but don’t let that deter you. These cinnamon rolls are SO good that we went back a second time 😉 We made it back to the resort (a bit of a hill on the way back – ha!) 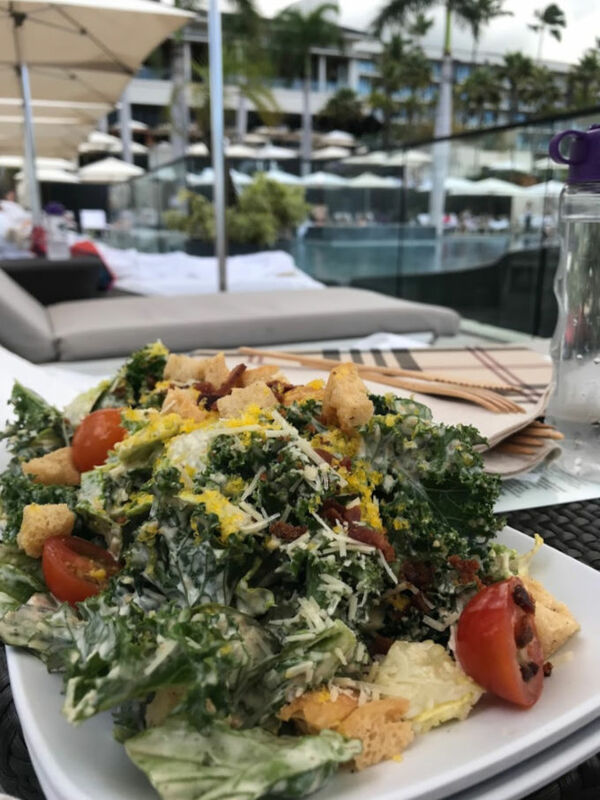 and hung out at the pool and beach before heading to a mixology class (included in resort fees) that was located in Ka’ana Kitchen. Lots of fun! 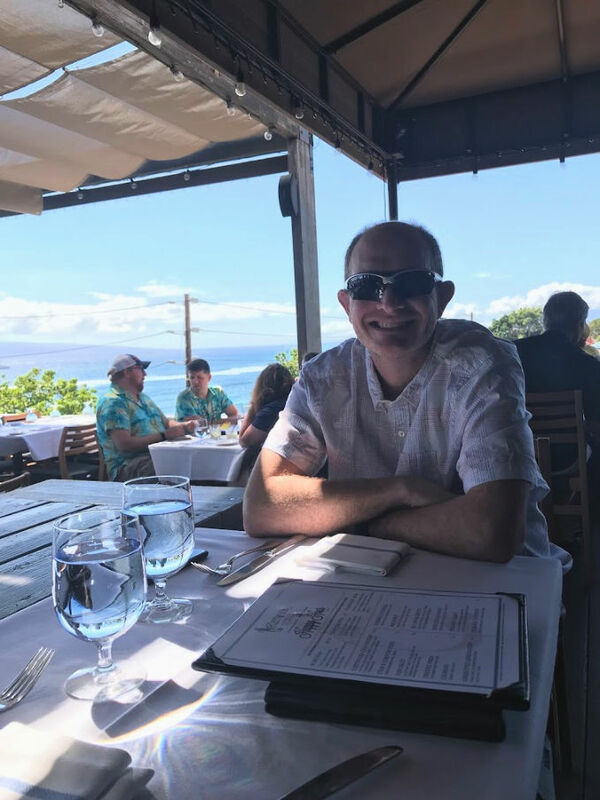 That evening, we went to Paia (about 35 minutes from Andaz) for dinner at the famous Mama’s Fish House. 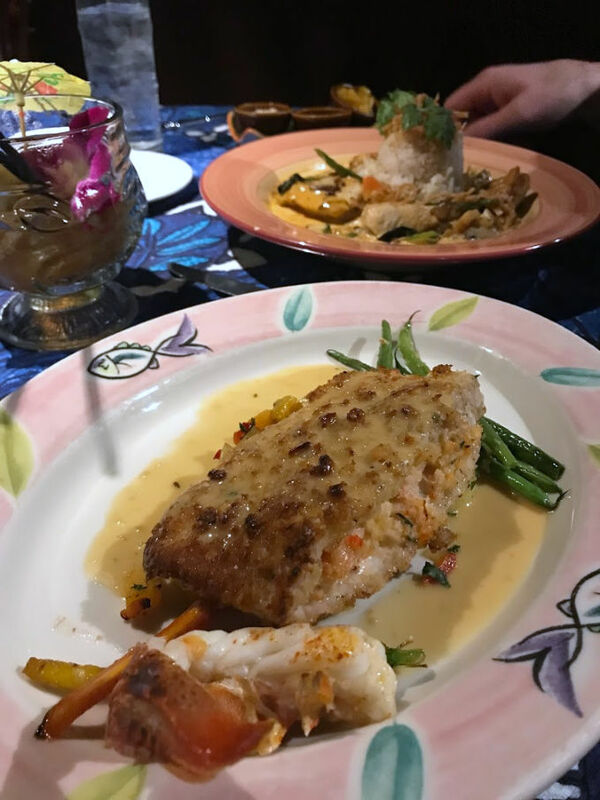 I ordered the macadamia nut-crusted crab and lobster-stuffed fish and Mark got the fish panang curry. The service was great after a bit of a wait for our reserved table. Of all restaurants, be sure to book this one well before your trip so you’re sure to get a table. Maybe book if for 2 nights because it’s THAT good. Our reservation was at 8:15pm so unfortunately, we missed sunset (closer to 6:30pm). I can only imagine how beautiful it would be during sunset – we could hear the waves, but it was pitch black in the distance! 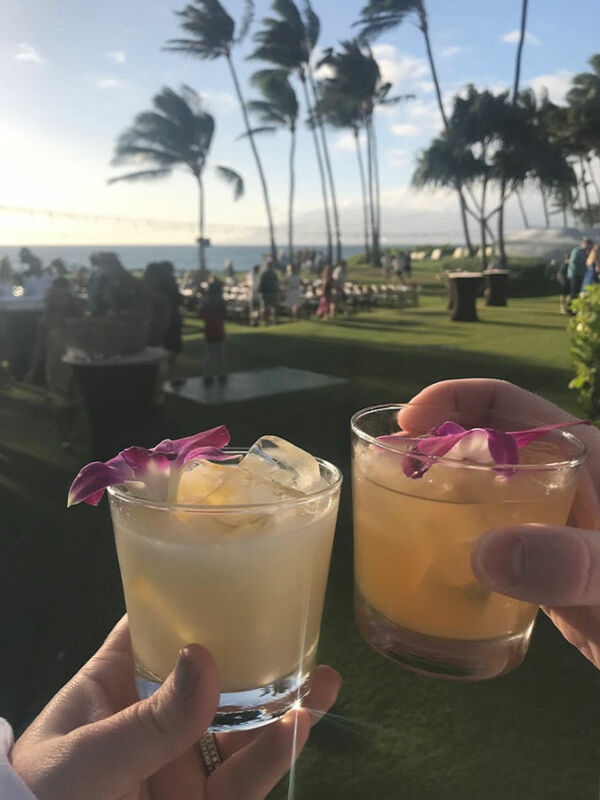 I would pass on their Mai Tai – not my favorite. 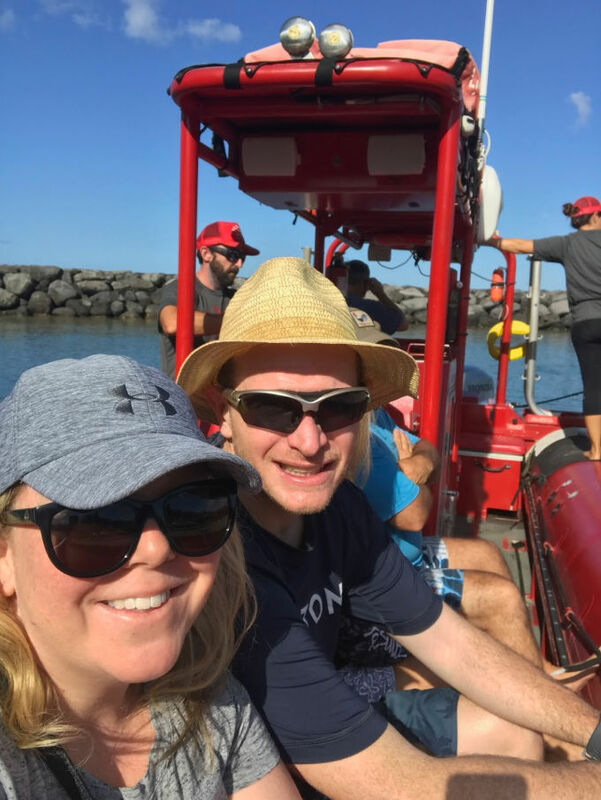 Day 4: We started our morning with a ride with the courtesy shuttle into Kihei to meet Red Line Rafting for a whale watching tour. Officially, March 31st (which happened to be the day we went) was the “last” day of whale watching. Whales can be seen through May, but there’s no guarantee like there is in the last part and beginning of each calendar year. We spotted lots of whales and even a breech or two (the holy grail of whale watching). The raft itself was very clean and safe and our guides were lots of fun. We returned to Andaz for some more R&R in the sun and a workout before getting showered up and heading to Monkeypod Kitchen for happy hour. Other than Mama’s Fish House, this place was probably mentioned the most by locals and other travelers (Three’s was a popular recommendation, too – more later on that). The Mai Tais at Monkeypod were AMAZING. They are served with an egg white foam and man, they’re delicious! The pizza was good, too! This place is poppin’ so make a reservation if you’re going between 3 and 5:30pm for happy hour. We met a couple from Denver and had fun conversation. We returned to Andaz and checked out one of the bars there for a nightcap. Day 5: My planning went to you-know-where when we showed up for a 7:45am Halfway to Hana Tour with Epic Experience Maui…and our tour guide was MIA. It was 100% my fault – I booked the wrong day and fortunately (I guess) that was with 48 hours advance notice that we got our money back. Being up early and ready to go and already in Paia, ready to go to Hana, we ventured that way. I did a lot of hemming and hawing about Hana and whether or not it was for us – it’s such a long day and let’s be honest, the driving was a bit scary to think about. We made it as far as the second stop and after getting some fresh coconut water (from the whole coconut, of course) and touring a few waterfalls, we headed back. 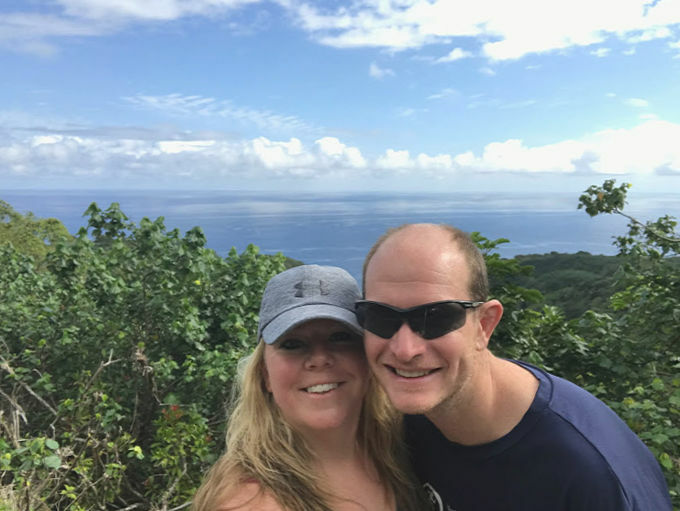 I can’t say with 100% certainty that we wouldn’t have enjoyed going the distance, but we felt like we saw some beautiful sights and gained a few hours back at the resort for fun in the sun (a definite priority for us). 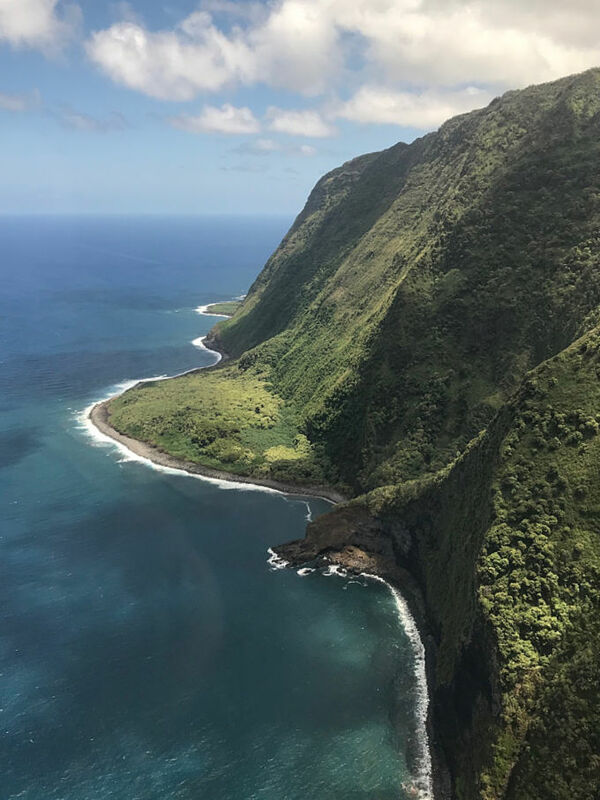 Epic Experience Maui seems to be THE tour to book based on my research in late 2018/early 2019, for what that’s worth. They were super great to work with in both booking and canceling the excursion. On our way back to Andaz, we stopped at the very busy Tin Roof by the airport for lunch. The food was a definite hit among many locals, but Mark and I were pretty indifferent towards it. People do LOVE it, though, so I thought it worth mentioning. The pork belly was overly fatty and tough and the chicken sandwich had too much skin on it. I think had we ordered differently, we would’ve found some menu items we liked better. It is BUSY and SMALL, however. There’s zero sitting room (literally) and the line was out the door. They’re also only open 10am to 2pm, so plan accordingly! Day 6: This was the day Mark was looking forward to – the day we didn’t leave the resort. We started with brunch at Ka’ana Kitchen which is on-site at the Andaz. Brunch was out of this world good (but not cheap!) and if you’re a wine lover, their wine selection is supposed to be world-class. We didn’t make it there for dinner (big regret – better go back 😉 ), but it comes HIGHLY recommended. We spent the day lounging around in the sun and I plowed through a good book. Ahhh…it was so nice while it lasted! 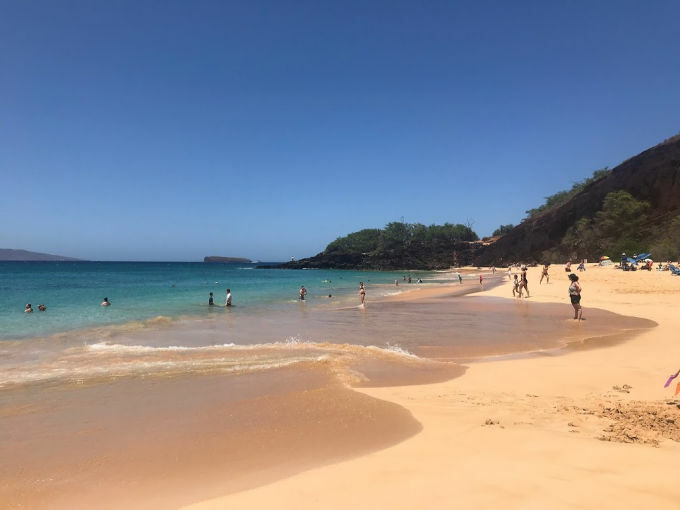 We drove a few miles south to Makena State Park to check out a different beach and it was such a great spot. We had no umbrella but there was shade from trees…we just opted to bake a bit in the sun. 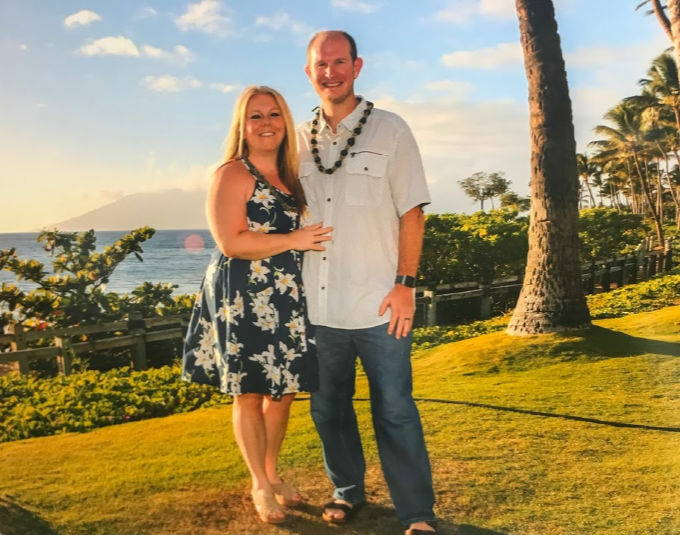 There were surfers and boogie boarders to watch, food trucks galore with shaved ice – a great spot to check out in Wailea/Kihei. 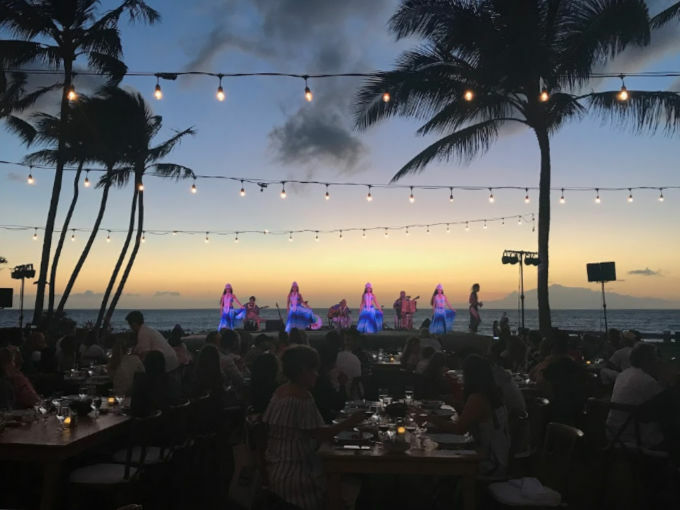 We cleaned up and attended the Feast at Mokapu luau there on-site at the Andaz. 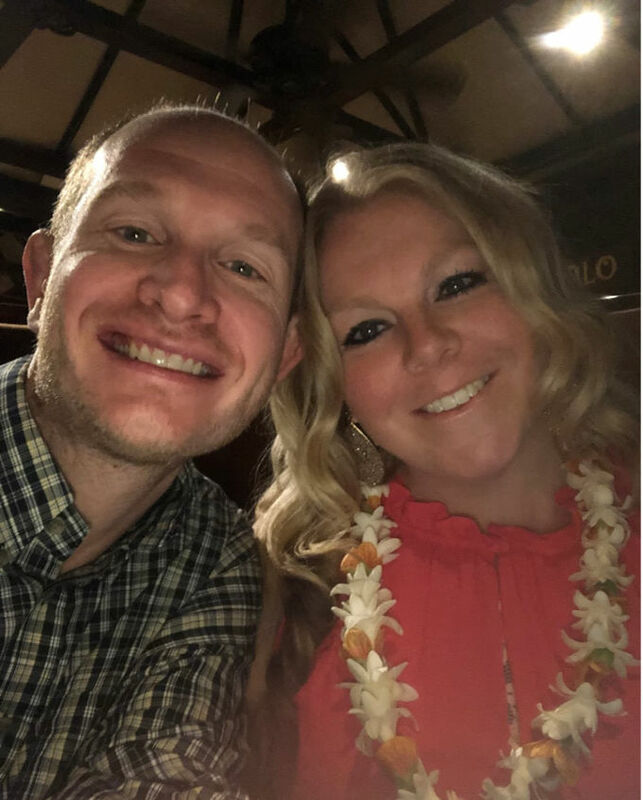 I have no luau experience to compare it to as we were engaged in conversation with our table much of the evening, so I missed some of the story telling. The dancing and scenery (right on the beach and during sunset) was GORGEOUS. I really appreciated the top-shelf cocktails and the meal was a great balance of known items (the ribeye was AMAZING and I’m not a red meat lover) along with traditional Hawaiian fare (octopus, greens, etc). It was a wonderful spread of food and tons of it! I think dessert could have been a bit more when it comes to the wow-factor – I would say it was just alright. Overall, a great experience. 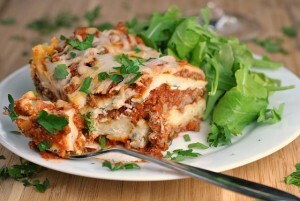 Bring a jacket – it can get a bit chili! The photo to take home was a really nice touch – it’s actually my favorite picture we took all trip. Day 7: We definitely wanted to do a day catamaran cruise to Lana’i and booked with Sail Trilogy. The sail took off from Lahiana with easy parking and a GREAT crew! It was so, so, so relaxing. The fed us warm cinnamon rolls while sailing the Pacific Ocean. I mean, hello! Out came trays of fresh island fruit, followed by deli meat wraps packed with veggies. Once arrived on Lana’i, you get snorkel gear and a brief 101 of the day. 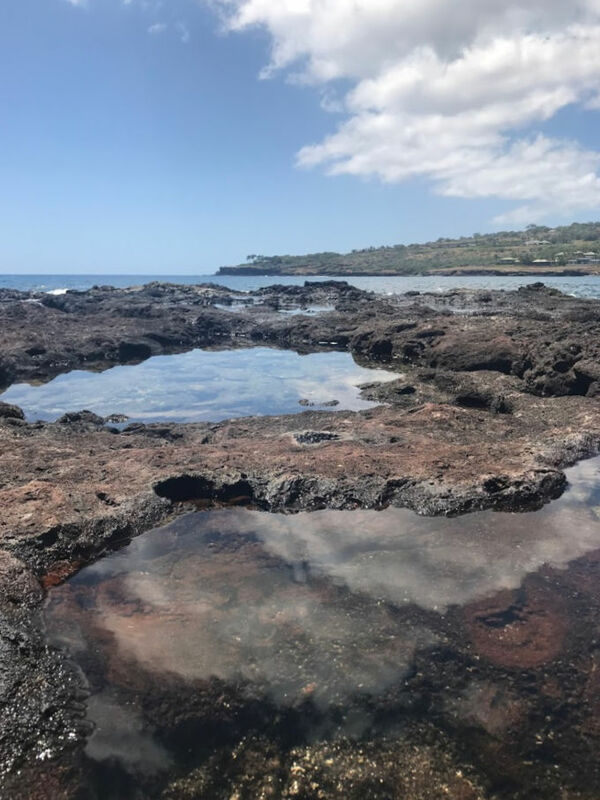 You’re given a few hours to explore the tide pools, tour the island, snorkel, lay in the sun – whatever you want. Snacks, juice, water, and sunscreen all provided. The snorkeling was great and the crew from the boat doubled as life guards, snuba instructors, servers, you name it. They bus you back to a pavilion by the marina and serve a BBQ lunch that was really good! Once you board the catamaran to head back, you get a few cocktails and even an ice cream-cookie dessert. 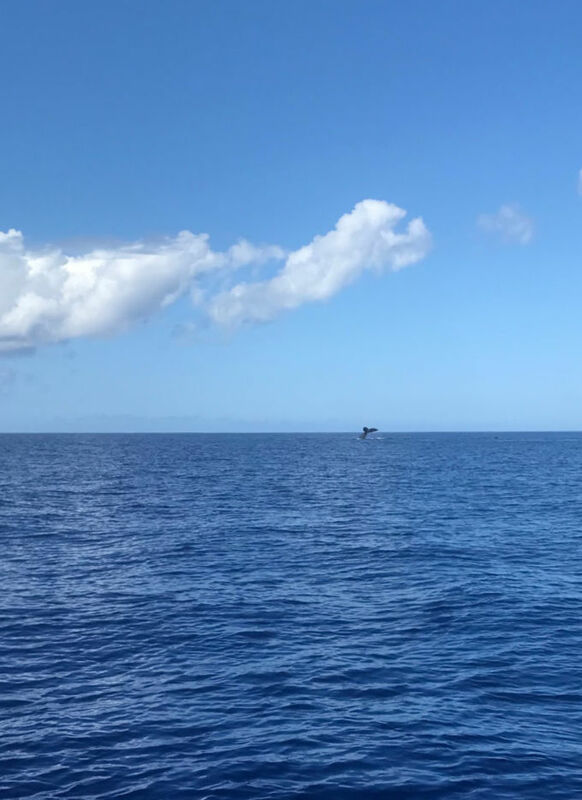 We saw whales on our way back – it was so relaxing. There was some passengers with some motion sickness, but they even offered ginger tablets after lunch before the sail back. I’d take them up on them, just as an insurance policy. I had no issue, but Mark was a little queasy. With that said, I think everyone would agree that it was a phenomenal excursion…and an entire day. We were whipped! We opted to stay on the resort for a later dinner at Morimoto at the Andaz. The spicy king crab appetizer was soooo good and the sushi was incredible, too. Definitely a great dinner option, especially if you’re staying at Andaz and love sushi. 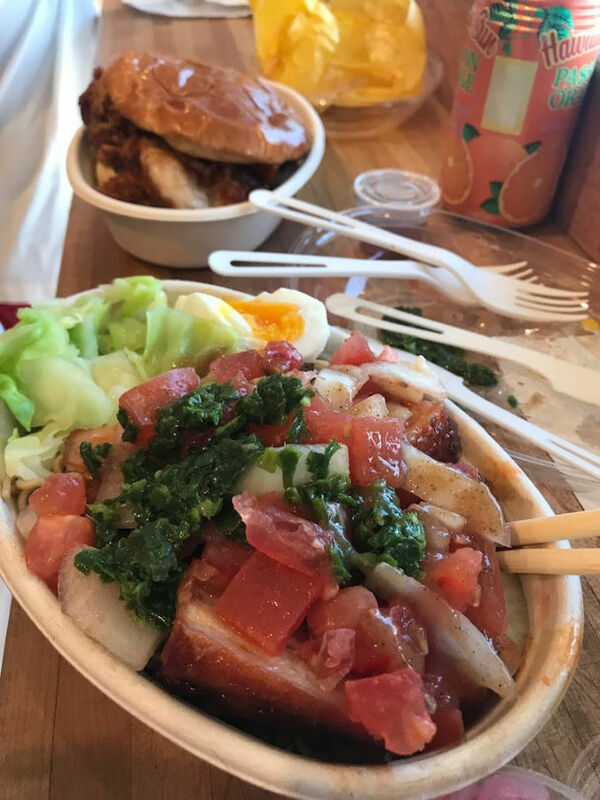 Day 8: We tried for breakfast at a popular brunch spot (Kihei Caffe – more below) but the line was too long – we ended up at Cinnamon Roll Place for the second time. Not complaining 😉 We were on our way to the helicopter pad that is right by the airport. 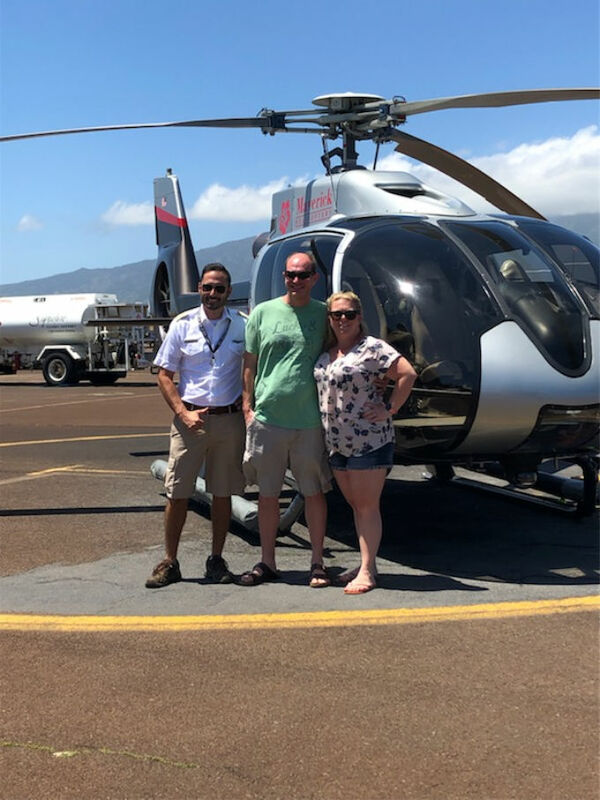 We did the Molokai Voyage helicopter tour with Maverick and wow, just wow! 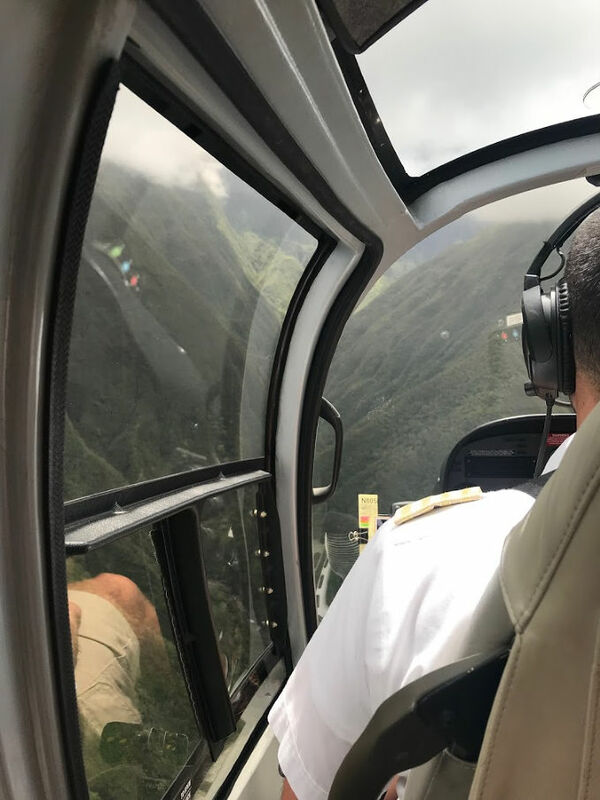 Mark and I had not been in a helicopter before but it was 55 minutes of breathtaking beauty. We saw waterfalls, flew over a volcano, saw manta rays in crystal clear water swimming in coral reefs. The pilot said it was their best tour and I have to assume he’s not just saying that. Absolutely incredible and probably our favorite excursion. 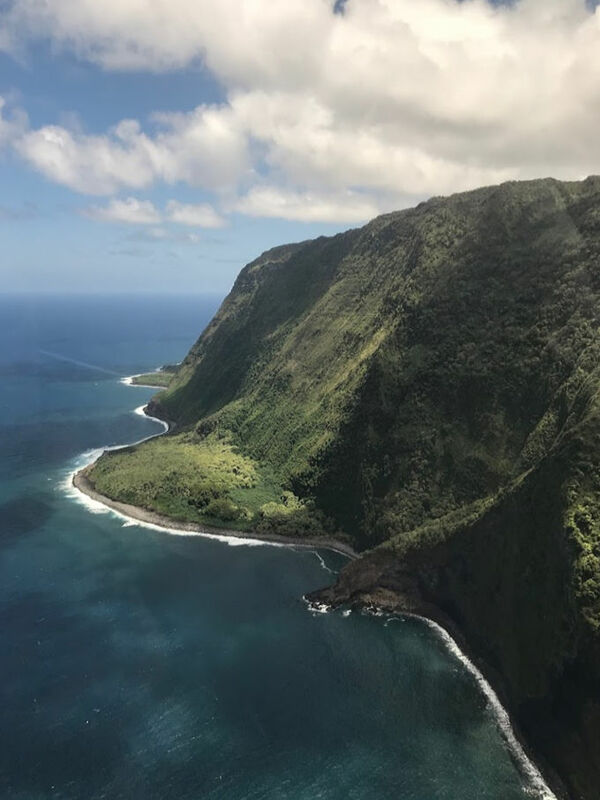 Plus, we got to see a lot of the island of Molokai (and Maui!) that we wouldn’t have been able to see any other way than by helicopter. We spent the afternoon doing what we do best – lounging by the pool and ocean. 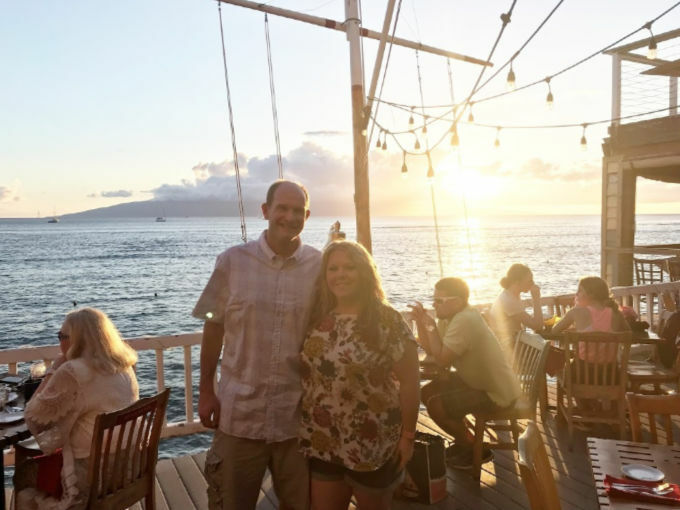 We set out for a sunset dinner at Millhouse in Wailuku. They hostess tried seating us inside but I requested an outdoor table. She seemed a little perturbed but 1) I had requested an outdoor table, 2) I had included in the reservation our 10 year anniversary celebration and 3) I had specifically made the reservation for sunset. Well, she pulled through and our service and food were excellent. 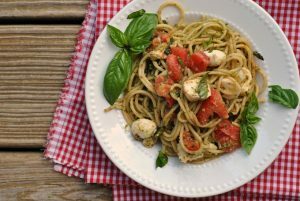 A farm-to-table concept with something for everyone, it was a great option. The steamed pork buns were my favorite! They did comp dessert which was really nice, too. A beautiful location and well worth the visit for a meal during daylight hours. Day 9: We spent our last full day relaxing at the resort. We started with a workout – together which was rare…and short lived. Mark picks the routes with ALL the hills. 🙂 I ended up going on a long-for-me run/walk and enjoyed every second. 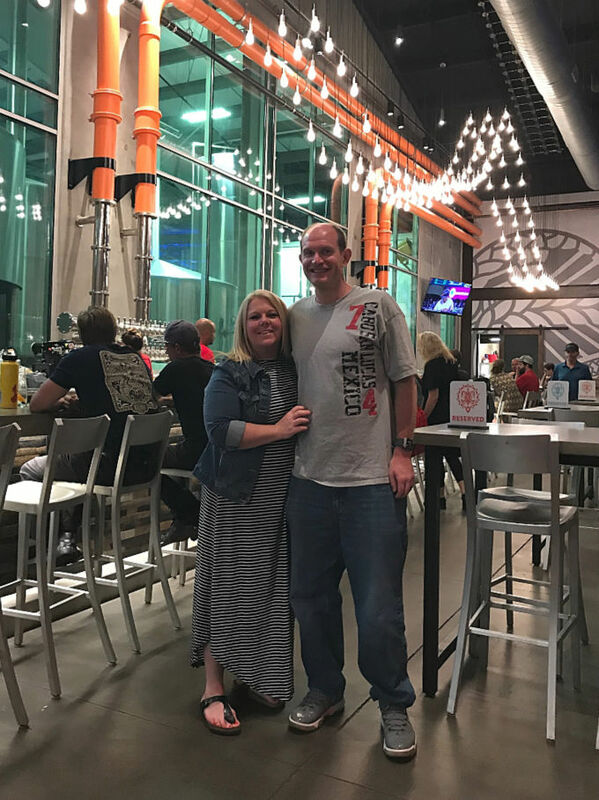 We ended up going to Three’s Bar and Grill for happy hour at 3pm to meet up with our “friends” that we met Sunday at Monkeypod Kitchen. It was lots of fun! Three’s happy hour has cheap food options and sushi – a local hot spot, for sure. Get there early cause there may be a wait! We moved on from there to the South Shore Tiki Lounge (basically right across the parking lot) and got a round (or 3…) of drinks with our new friends. The prices here were the best we saw all trip, so that way nice! We Uber-ed back to our resort for our final night. Day 10: We went for a long walk on the beach after grabbing some of the delicious smoothies from the pool bar. We walked the footpath together, soaking in our final rays of sunshine and island breeze. It took us awhile to pack-up, but we were able to snag a late checkout time of noon. Thank you, Andaz! From the resort we made our way back to Kihei Caffe for the ever-popular breakfast. Mark got an egg and chorizo dish (very good!) 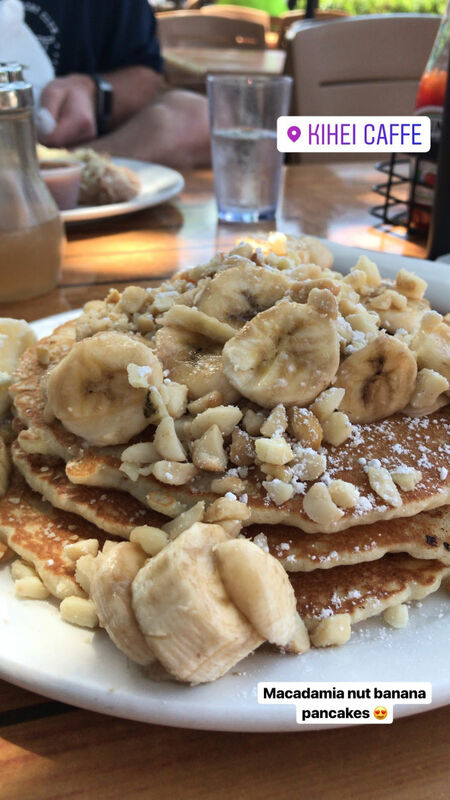 and I got the classic macadamia nut pancakes with banana slices and COCONUT SYRUP. Is this real life, you guys? They were so good, but we couldn’t finish them. I should’ve taken them with me!!! We returned our rental car and grabbed a drink at the airport bar to watch the first few minutes of the Michigan State NCAA Final Four game. Neither of us slept on the flight but I was engrossed in my book – Radium Girls. It probably helped to get me back on EST to push through. It has been a few days since our return to we’re nearly finished unpacking and done with laundry. Our kids had an amazing time with their grandparents (my in-laws) who are incredible and made this trip possible. Thank you guys! Yay, so glad you guys had a great time!!! Thank you for the post and all the recs…. super helpful!